RXSR FC Omnibus F4 with integrated RXSR receiver. 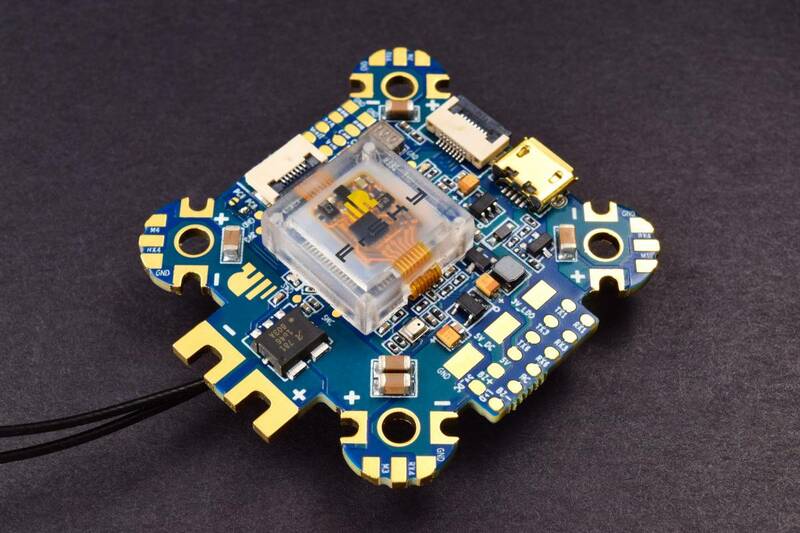 The RXSR-FC (Omnibus F4 Fireworks V2) achieves stable flight performance using a ICM20608 gyro clocking at 32k, connected via the SPI bus to the F4 processor for high speed updates. The integrated RXSR and gyro are removable and connected via a small ribbon cable; no soldering is required. Both the Rx and the gyro are protected in small plastic enclosures mounted to the board. 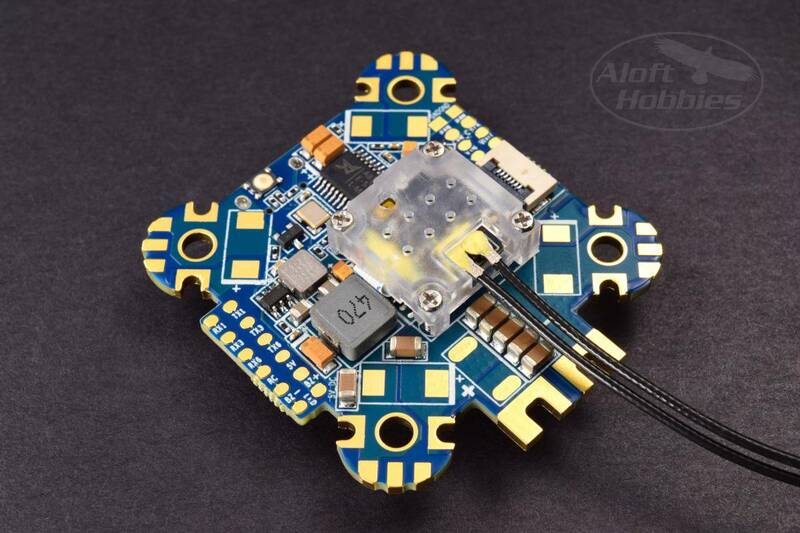 This board has 5 UARTS, a barometer and an AB7456 OSD chip for running Betaflight OSD. The operating voltage is 3~6s Lipo. Other highlights include a Hall effect current sensor, a power filter and a built in PDB that achieves very low internal resistance (0.2-0.5mOhm) via the 12 layer PCB design.